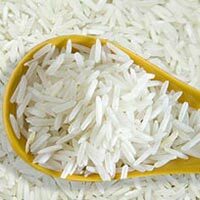 We are a prominent Supplier and Exporter of Basmati Rice all over the world. Basmati Rice is a long slender and highly aromatic food grain which is highly appreciated for its delicious flavor when cooked. Besides, we provide excellent packaging of Basmati Rice in order to keep the freshness and nutritive value intact. The company is a leading Supplier and Exporter of the best quality Non Basmati Rice which is rich in both flavor and aroma. Non-sticky in nature, our Non Basmati Rice is procured from the reliable sources. Non Basmati Rice is used in various international dishes. Further, with the help of a wide distribution team we ensure easy, safe and prompt delivery of Non Basmati Rice.